Our 5-star Encinitas dentist has extensive education and numerous years of experience with an ongoing commitment to staying up-to-date with advancements in the field of dentistry. We do this to ensure that you and your family receive effective, painless, and long-lasting care for your healthiest and brightest possible smiles. 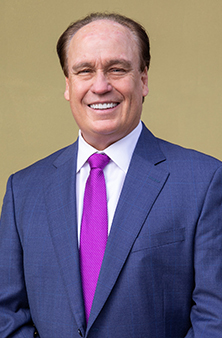 The founder of McElroy Smiles By Design, Dr. Gregory McElroy, is one of North County San Diego’s leading cosmetic and restorative dentists, and he was among the first few doctors in California to be certified to administer conscious sedation. 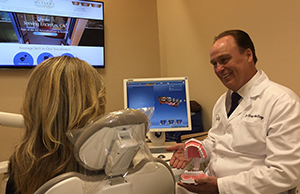 He pursued his dental education at the prestigious Las Vegas Institute for Advanced Dental Studies and has also studied nationwide with top clinicians such as Dr. Bill Dorfman of ABC’s Extreme Makeover. Dr. McElroy is also a certified member and graduate of the Dental Organization for Conscious Sedation. With over 25 years of experience treating patients with needs ranging from regular dental cleanings to full mouth restoration, Dr. McElroy and his dedicated team push themselves to be the best Encinitas, CA, dental office by remaining at the forefront of cosmetic dentistry techniques and technology. Call 760.621.8700 or click here for an appointment with our expert Encinitas dentist today! Dentistry is a constantly changing field with new technology that strives to make dental procedures less painful and to achieve ever-higher quality results. Dr. McElroy wants to give you the best that dentistry has to offer. To accomplish this, we incorporate the latest, most cutting-edge dental technology into our day-to-day practice. By choosing us, you’re guaranteeing the most modern, dynamic treatment available. 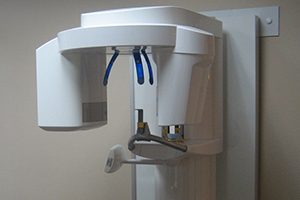 Click here to learn more about specific technologies employed in our dental office. Same-Day Emergency Appointments. We know that if your teeth or gums hurt, you don’t want to suffer through one more day of pain. For this reason, we are glad to provide same day appointments with our Encinitas dentist! If you call in the morning, we will be sure to see you in the afternoon. If you call late in the day, we will make sure you can be seen by the next morning. Don’t Miss School or Work. Our Encinitas dentist wants to accommodate your busy schedule in the most flexible way possible. We know that it is difficult to spare time for a routine appointment while you are working or at school. With this in mind, we have adapted our hours to include appointment availability both before and after your typical work and school day hours. 100% Satisfaction Guarantee. If at any point during treatment, you feel less than 100% satisfied with the care you are receiving, let us know! We will do whatever we can to ensure your experience with us is both comfortable and enjoyable. Treatment Warranties. We offer lengthy warranties on a number of our cosmetic and restoration treatments, including dental crowns and veneers. Call our Encinitas, CA, dental office to learn more! These guarantees are yet another way that we continually strive to be the best Encinitas dentist. 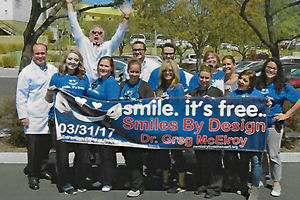 Come see for yourself why our patients love McElroy Smiles By Design! Request your $99 Dr. McElroy New Patient Dental Health Exam today by calling 760.621.8700 or click here. If you are scheduling a new patient appointment, then you will be able to enjoy our $99 Dr. McElroy New Patient Dental Health Exam. This limited-time offer provides you with a professional dental cleaning, a complete oral exam with x-rays, and a thorough, educational consultation with Dr. McElroy. If you are interested in advanced dental treatment options such as pain-free dental care, Invisalign, or dental implants, our Encinitas dentist will educate you fully on your options. This will help you to choose the best dental treatment for your lifestyle needs. Click here to request your new patient appointment, or call us directly at 760.621.8700. If you feel any level of anxiety or stress when it comes to your dental appointments, let McElroy Smiles By Design put you at ease! Dr. McElroy has well over two decades of experience helping patients with safe, supervised dental sedation, and he is one of only 1% of dentists nationwide who have been certified to provide IV dental sedation. Our Encinitas dental office offers three different types of dental sedation: nitrous oxide, oral sedation, and IV sedation. Click here to learn more about each of these options, as well as other relaxation tips and techniques from our caring and compassionate dental team. Some dental and orthodontic offices require multiple visits simply to start your Invisalign treatment. At McElroy Smiles By Design, we can start your treatment on the same day as your initial consultation, if that is what you want. We won’t send you back to the front desk to schedule yet another appointment for your dental impressions. This doesn’t just save you time – it saves money, too! Your same-day treatment start will be even faster, too, thanks to our digital impression technology. There is no need to hold a messy impression tray against your teeth at McElroy Smiles By Design. Our digital impressions also allow us to receive your Invisalign aligners from the lab more quickly. You will have your new trays in 2 weeks instead of the typical 4 weeks. Are you ready to take advantage of same-day treatment with our state-of-the-art dental technology? Call our Encinitas dental office at 760.621.8700 or click here to request an appointment. Transforming your teeth into a smile you’re proud to show off starts in the office, but it’s important to remember that to make sure your smile lasts a lifetime, you will need to wear a retainer after your Invisalign treatment end. 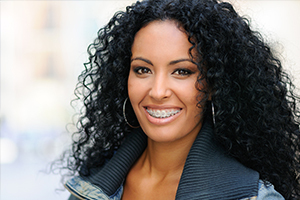 We want you to keep your beautiful smile, and we do that by making sure you always have a retainer on hand. For as long as we continue to be your Encinitas dentist for routine teeth cleanings, we will replace your retainer anytime it gets broken or damaged. This retainer insurance is included in the cost of your Invisalign treatment. Just bring us the pieces of your old retainer, and we will happily swap them for a new one – no questions asked! We want you to have a marvelous time during your visit to McElroy Smiles By Design… but that doesn’t mean we expect you to spend all day in our Encinitas, CA, dental office! Our efficient and friendly team keeps our schedule well organized and with plenty of time allotted for every patient. That means you’ll have virtually no wait time when you arrive for your appointment to see our Encinitas dentist. Come experience our 5-star-rated dental office for yourself, where you can count on a relaxing, enjoyable dental experience that puts your scheduling needs first. Call 760.621.8700 or click here for an appointment today! 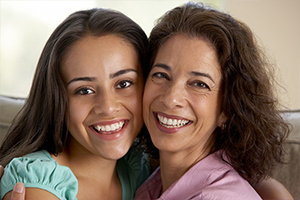 If you or your family members don’t have dental insurance, we know that can make it difficult to access quality, affordable dentists in Encinitas, CA. 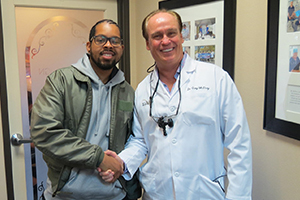 Dr. McElroy believes that everyone deserves a healthy smile. This is why we offer our own in-house membership plan as an alternative to insurance. When you sign up for our membership plan at McElroy Smiles By Design, you will get immediate access to preventative care and treatments at a significant discount. That’s right! Unlike with many dental insurances, there is no waiting period. Just sign up, and start your journey to oral health right away. To learn more about our dental membership, click here. At McElroy Smiles By Design, we accept most dental insurances and will gladly file all insurance paperwork on your behalf. We will also work closely with your insurance company to ensure that you get the maximum benefits for your dental care. We understand how frustrating insurance can be. Our goal is to simplify the process so that you can focus on what really matters – your smile! Call our dental office in Encinitas today at 760.621.8700 or click here for an appointment with one of our friendly, experienced dentist. Remember that new patients can also take advantage of our $99 Dr. McElroy New Patient Dental Health Exam, which includes your exam, dental cleaning, x-rays, and consultation for any additional treatments or procedures that may interest you. Playing an active role in the community is great for everyone involved. 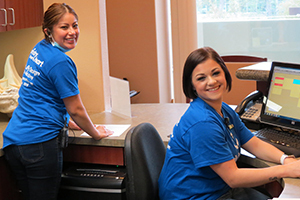 Our team at McElroy Smiles By Design loves to help our community as much as we enjoy taking care of our patients! That’s why we frequently share our time and our resources with a variety of charitable causes. Come experience McElroy Smiles By Design, where we approach dentistry with care and compassion. Call 760.621.8700 or click here for your appointment today! Our Encinitas dentist offers various payment options, so you don’t have to sacrifice expert care for affordable dental treatment. In addition to accepting many insurances and offering discounts through our dental membership plan, we also provide 0% financing options for any remaining balances through CareCredit. Our goal is to maximize your insurance benefits and make any remaining balance manageable. Your health should never be put on hold due to cost, and we work to provide the most flexible payment offers available to you. Call our dental office at 760.621.8700 to learn more about our flexible payment plans for dental care!